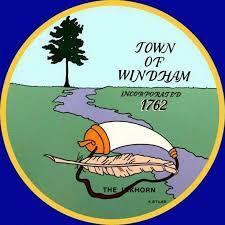 WINDHAM — The Town Council passed amendments to the land use ordinance regarding mineral extraction at its meeting Tuesday night. The amendments bring the town’s ordinance more in compliance with state standards, but they are more restrictive in some areas, according to Planning Director Amanda Lessard. Those areas include “the hours that blasting is permitted, dust control, stormwater management, annual inspections, reclamation plans (and) performance guarantees for replacement wells,” she said previously. The amendments were developed by the Mineral Extraction Committee, but the committee could not come to a consensus regarding zoning, Lessard said. The amendments will apply to new or amended mineral extraction operations but not to existing ones. During public comment April 9, Michael Manning lamented that the town is spending what he feels is too much time discussing mineral extraction. “We have a million different things that we have to do, and we’re spending countless hours fighting over a hole in the ground. Why are we wasting time on something that we all know is not right for our town at the moment?” he asked. The council unanimously agreed to alter the amendments to reflect Shane’s edits. Interim Town Manager Don Gerrish said that if the council were to pass the amendments, they must be passed as an emergency measure. If they were passed on a regular basis, there would be a 20-day period between when the current moratorium on mineral extraction expires, on April 19, and when the new ordinance would take effect, 30 days after the council approved it. The council will have to hold another public hearing in the future in order to pass the amendments on a regular basis. Many councilors spoke in support of the amendments but said they would also like to work on zoning more broadly in the future. The council unanimously passed the amendments as an emergency measure. Councilors also voted unanimously that the town will now match up to 6% of employee contributions to the deferred compensation plan and that the town will now pay employees in the event of a power failure or inclement weather rather than requiring them to use their sick or vacation time. The council also voted to purchase a brush fire truck from Greenwood Emergency Vehicles for nearly $120,000 for the fire/rescue department. Fire-Rescue Chief Brent Libby explained that the two-ton Ford F550 will replace a 17-year-old pickup truck and will have a life expectancy of 15 to 20 years. Councilors also authorized the purchase of a phone system from Consolidated Communications for nearly $45,000 and a call recording server from Exacom for over $17,000. In addition, the council unanimously appointed Deputy Chief John Kooistra as town Health Officer for a three-year term. The council entered into two executive sessions Tuesday night, one to discuss abatement of property taxes and one to discuss labor contracts, proposals and meetings between the body or agency and its negotiators.